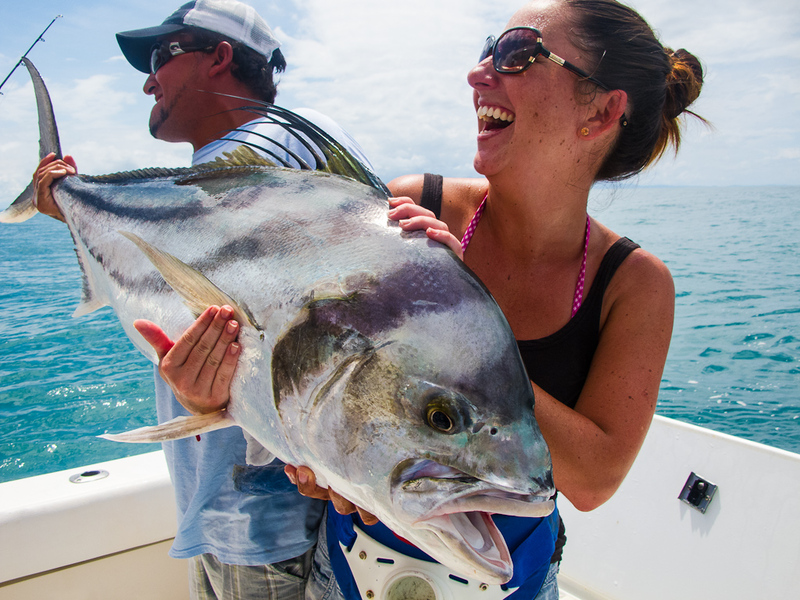 Our fishing expedition is an exciting new addition to activities available in the South Caribbean of Costa Rica. The Southern Caribbean is characterized by the largest reef system in Costa Rica, with deep water 2-4 miles offshore. This provides unique experiences for fishing for a variety of species using a variety of techniques. The sea offers seasonal and yearlong catch including Spanish Mackerel, King Mackerel, Barracuda, Tarpon, and several species of Snapper and Jacks, plus whatever the current may bring in - like Tuna and Wahoo. Weather and sea permitting, jump in for snorkeling and lobster! Our local Captain knows all the best spots. This is the trip for those who want to spend the day landing the catch of a lifetime. Dolphin viewing, sightseeing, and/or snorkeling are also options. What to bring: Comfortable shoes that can get wet, sunblock and sunscreen, water and a bit of cash.